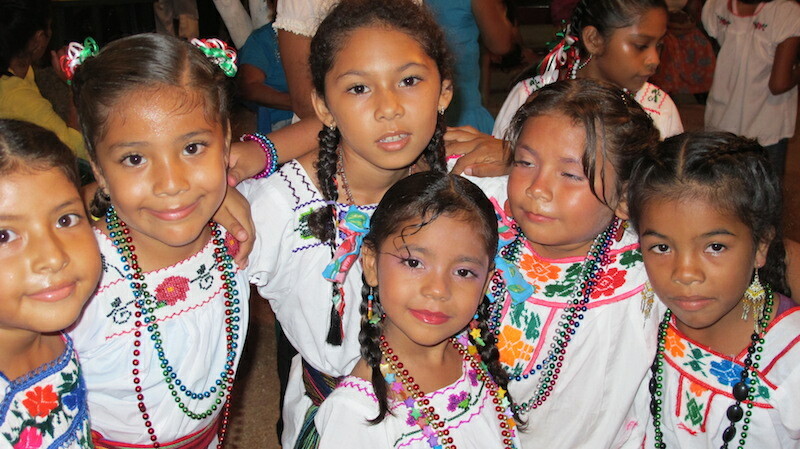 The night of December 11th is the most special day of the year in the village of Barra de Potosi. That night the people celebrate the Virgin of Guadalupe. Most of the homes have elaborate shrines erected on the street front and they are lavishly decorated with images and flowers and lit by blinking Christmas lights. After dark, the women of the village who are organized into two groups leave the little church and start a procession through the town, the two groups singing back and forth and visiting each of the shrines. They are all dressed in traditional wardrobes; beautifully and painstakingly handmade. It is an amazing experience. The next morning, the men take over. 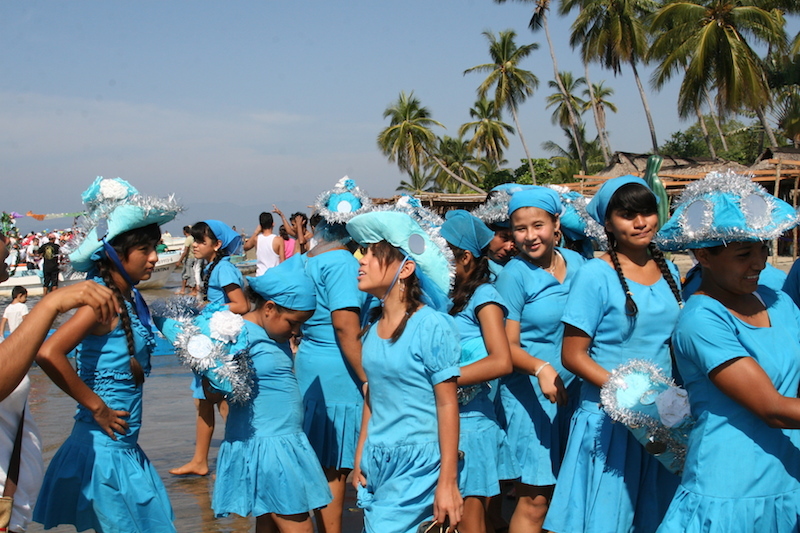 After a mass in the church, the entire community marches down the beach to where the fleet of pangas is moored in the lagoon. The boats have all been decorated with everything from palm leaves to balloons. 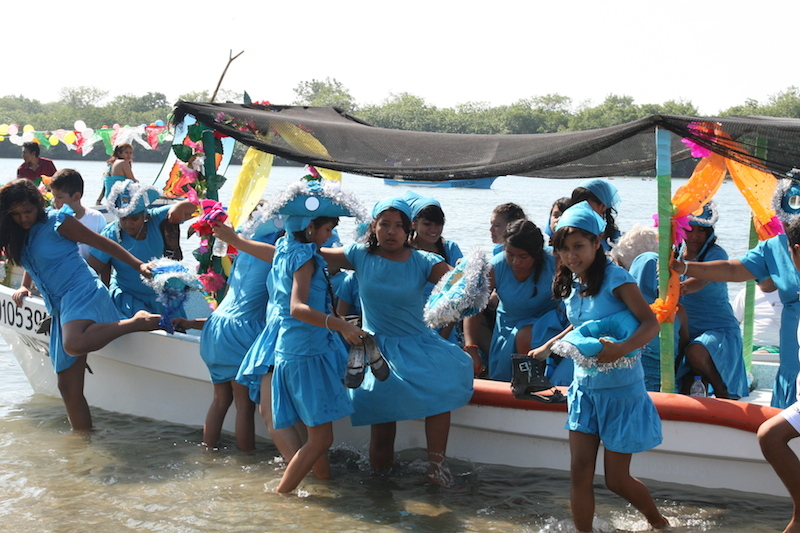 Everyone climbs aboard and motors to the center of the lagoon where a priest conducts a blessing for the community. This is a wonderful time to visit Playa Blanca.